We think Godfrey Haire (from Redhill, Surrey) is pretty amazing. Not only is he preparing to donate his kidney to his eight-year-old son Henry, he’s also taking on RideLondon as well as six other cycling-related challenges! All in aid of ‘Team Henry’, this challenge spans 12 months with the aim of raising a whopping £10,000 for Rainbow Trust Children’s Charity. Eight-year-old Henry was born with a rare condition called Posterior Urethral Valves. Godfrey (Crawley Cubitt and West Branch Partner), his wife Beccy and sons Henry and Thomas have all experienced Rainbow Trust’s support first hand. Godfrey has so far raised more than £4,000 of his target and there looks to be no stopping him! The main event, RideLondon will take place on 4 August and involves a brutal 100-mile race around London to Surrey. 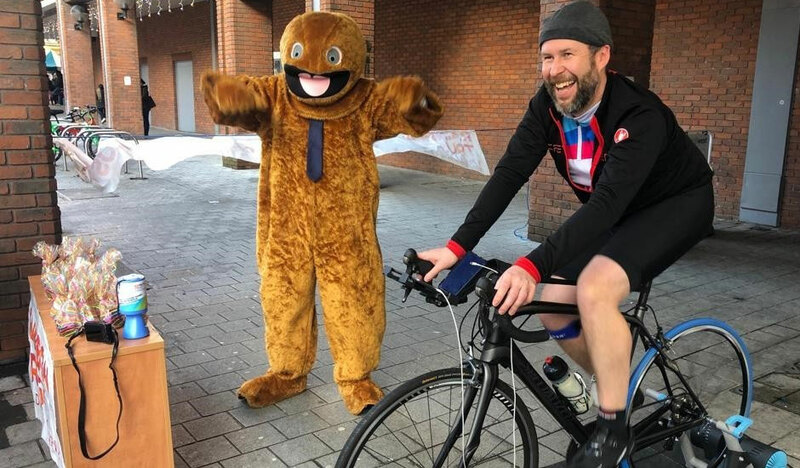 Godfrey is then set to challenge himself again and will cycle the virtual equivalent of the 4,828km distance across America and cycle up Everest four times. He’ll cycle up Sa Calobra in Mallorca and up Ventoux in the French Alps as well as completing the Hever Castle triathlon. “Henry has severe kidney damage and is entirely fed through a tube in his stomach but thanks to the tremendous support provided by our Rainbow Trust Family Support Worker, Nicki, he is a very happy child. Henry needs many syringes of medicines every day, he’s also catheterized every three hours and needs to be peg fed through a port on his stomach through the night. Nicki is there whenever we need her. She helps with the practical things like driving my wife Beccy and Henry’s brother, Thomas, to hospital for Henry’s check-ups and treatments, entertaining Thomas during the long waits for consultants and tests, as well as providing us with much needed emotional support. You can support Team Henry by signing up to RideLondon with Rainbow Trust. Use code TEAMHENRY at checkout and save 50% on your registration fee. If cycling isn’t your thing simply show your support for Godfrey’s challenge by donating to his fundraising page.